Q: At what age may a child enroll at Making Waves Swim School? A: Children must be 2 years of age or older and potty-trained. If not potty-trained, appropriate swim diapers must be worn. Q: How long does it take to learn to swim? A: This is probably the most commonly asked question. Learning to swim depends on many factors such as age, body type, maturity, listening ability, endurance, and desire. For example, two 4-year-olds who had the same instructor, both loved the water, and wanted to learn, became independent in the water months apart. Unfortunately, there is no accurate way to predict this information. Q: Are practice sessions available? A: Due to insurance regulations and space restrictions, we do not offer practice sessions at any of our locations. For the same reason, participants must exit the water as soon as their lesson is completed. Q: How many kids are there in a class? A: Although certain location, age, and skill restrictions apply, there may be one or two people in a class at one time. Q: How long are the lessons? A: Typically, lessons are once a week for 30 minutes. For older, more advanced participants, 60-minute classes are often more beneficial. A: Please refer to the Policy section. Q: What type of training do the Making Waves Swim School Instructors have? 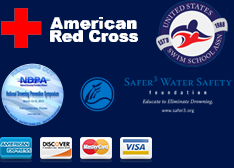 A: Our staff is certified in the following: American Red Cross Lifeguard Training, CPR for the Professional Rescuer & Healthcare Provider, and advanced First Aid. Additional training sequences are given by Making Waves Swim School management. Q: What times are lessons offered? A: Our sessions are available seven days/week, from 9:00 am to 10:00 pm. Our WINTER sessions are from January to March; our SPRING sessions are from April to June; our SUMMER sessions are from July to August; and our FALL sessions are from September to December. Q: What temperature are the pools kept? A: Pool temperatures are kept to a minimum of 85 degrees and depends on the location. A: IF you need to cancel a class, please call the office and leave a message at 609-818-0373 or email us at lessons@startmakingwaves.com. Please do not call the hotel or contact your instructor. A: Towels and a change of clothes are required. Goggles, and swim cap are suggested, but not required. Q: What are the advantages to PRIVATE lessons? A: When learning privately, there are no distractions by other swimmers. Also, you receive an immediate, constructive critique, which allows mistakes to be corrected quickly and effectively. Additionally, students have the instructor’s undivided attention for the entire lesson. One-on-one instruction promotes a trusting relationship between the instructor and student. As a result, a client who feels safe and cared about will be the most successful.